Currently hanging at Ashland Art Works Galleries, 291 Oak St., Ashland, Oregon. Go by and have a look at all my current work. I’d love to hear your comments. 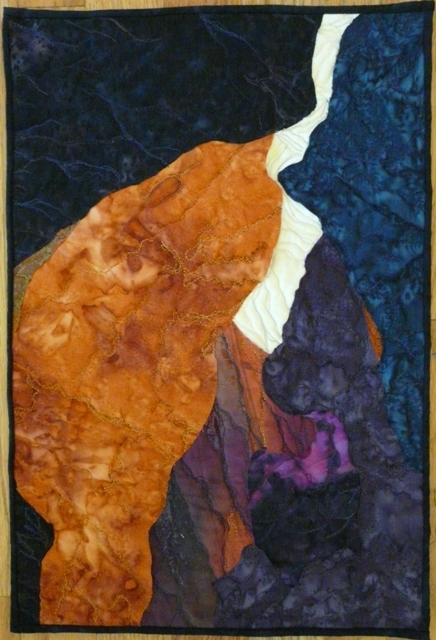 This entry was posted in Art, Fiber Art and tagged Antelope Canyon, Art Galleries, Canyon, Fiber Art, Gifts, Slot canyon, Stephanie Nead, Stephanie's Creations, Textiles. Bookmark the permalink.